Tesla has become one of the most well-known and trusted brands in innovative solar and battery storage technologies. The Tesla Powerwall and its successor, the Tesla Powerwall 2, are now widely considered to be two of the best solar batteries on the market right now. 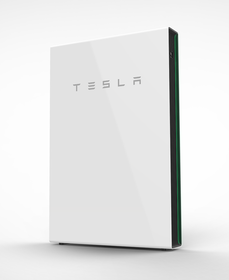 So does the Tesla Powerwall actually live up to the hype? Canstar Blue reviews the full Tesla Powerwall range, looking at the specs and prices, to help you make an informed decision about your solar investment. Rechargeable electricity storage technologies have been in development for decades, but the potential for residential solar storage has only been realised in recent years. The Tesla Powerwall was by no means the first solar battery, but it did attract the most attention – and for good reason. As we detail below, the Powerwall range boast huge capacities, 100% depth of discharge (DoD) and guaranteed durability, all at a reasonable price. Keep in mind this technology is constantly evolving, leading to capacity improvements and rapid falls in price. While we’ve endeavoured to provide accurate information, be sure to discuss your options with Tesla or a certified Powerwall reseller before making a decision. The Tesla Powerwall came to Australian shores in mid-2015, starting a storage revolution that’s not expected to end anytime soon. The Tesla Powerwall has approximately 7kWh of electricity storage – enough to cover a bit less than half the average home’s daily energy needs. It also has a 92.5% round trip efficiency, which isn’t the most efficient battery, but it still means hardly any electricity is lost in the storage and transfer process. The Tesla Powerwall weighs 97kg, is 130cm long and 86cm wide, allowing it to fit practically anywhere around the average home. If there’s no room inside, it’s perfectly safe to install the Powerwall outdoors, thanks to its durable lithium-ion technology. The reason the Powerwall garnered so much attention is because it was really the first storage unit to offer a simple, all-in-one storage solution. Unlike most solar batteries, the Tesla Powerwall has an in-built inverter and no moving parts. This means there should be no need to ever service your Powerwall. To back this up, all Powerwall units come with a ten year limited warranty. For all these great features, there’s one fundamental flaw with lithium-ion batteries like the Powerwall. After 2,000 cycles (one charge per day for 5.5 years), the Tesla Powerwall is expected to reduce to around 70% its original capacity. Its round trip efficiency also falls dramatically. Once the 10 year warranty is expired, the Powerwall is but a husk of its former glory and it will almost definitely be time to upgrade. ^Normal deterioration not covered. Full T&C’s available on Tesla website. The Tesla Powerwall costs around $9,000, with installation costing an additional $1,000 to $2,000 depending on the installer. While that’s a far cry from being the most expensive solar battery on the market, it’s certainly not the cheapest either. We calculated that most homes with solar batteries at the moment aren’t reasonably capable of recouping savings equivalent to the purchase price of the storage unit before the warranty expires. With that said, as battery technology improves (take the Powerwall 2) and power prices soar, storage units are becoming an increasingly cost-effective energy solution. The Powerwall 2 does away with the shield shape, instead opting for a smaller, rectangular design. What’s most impressive is that the Powerwall 2 has 14kWh of storage capacity – that is twice the size of the first model and enough to cover the majority of a households electricity demands. It also has a proportionately higher discharge rate, allowing it to power more appliances at any one time. The Powerwall 2 is more durable than the original and comes with a warranty for 10 years or 37,800kWh of discharged electricity (whichever comes first). Tesla also guarantees the Powerwall 2 will still have at least 70% of its capacity left at the end of the warranty. The only discernible shortfall of the Powerwall 2 is that it’s slightly less efficient. It has a round-trip efficiency of 89%, which is 3.5% lower than the previous version. The most impressive thing about the Powerwall 2 is that it costs slightly less than the original Powerwall despite being a superior unit in almost every way. 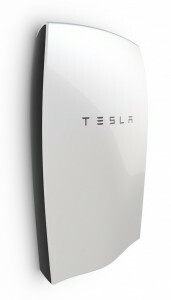 According to Tesla Australia, the Powerwall 2 will cost between $9,970 and $11,620. This cost includes $8,000 for the unit, $720 for supporting hardware, and between $1,150 and $2,900 for installation, depending on the location and installer. If you’re not sure whether solar storage is the right solution for your home, check out this video by EnergyAustralia. The Tesla Powerwall has proven enormously popular, garnering an online following that’s already speculating on what Elon Musk has in store for us next. There has been no official word just yet on the release of Powerwall 3, though Tesla has expressed its intention to continue developing this technology. The Powerwall 3 is hoped to be announced in late 2018 or early 2019 with an Australian rollout possible for mid to late 2019. This is of course only conjecture at this point and is solely predicated on the assumption that Tesla continues the similar release pattern of its previous models. The Powerwall was announced mid-2015 and rolled out in Australia January 2016. The Powerwall 2 was announced in October 2016 with Australian installations beginning from June 2017. With this in mind it’s very possible the next big announcement is just around the corner. The huge difference in storage capacities between the Powerwall and Powerwall 2 has many expecting we’ll see another big leap forward with the Powerwall 3. The Powerwall 3 could have total capacity upward of 20kWh with a likely round-trip efficiency of over 90%. There has also been some suggestion that the Tesla Powerwall 3 will include an intelligent energy monitoring system and be optimised for integration with Tesla electric cars and Tesla Roof Tiles (discussed below). The Tesla Powerwall 3 will likely cost around $8,000 to $10,000, excluding installation costs. As we saw with the Powerwall 2, the rapid improvement in storage technology allows manufacturers like Tesla to constantly improve upon their product without substantially increasing costs. Alternatively, it has been speculated that Tesla might continue producing 14kWh batteries and focus its efforts on reducing size and price of the Powerwall to make it more widely accessible. Should I wait until the Powerwall 3? The Tesla Powerwall 2 is already a fantastic system and the Powerwall 3 could only be better. Experts predict that storage systems will surpass grid electricity in terms of cost effectiveness by 2021, leaving many to wonder whether now’s the right time to buy a home solar battery. The unfortunate and slightly unhelpful answer to this question is… it depends, but for most of us, it’s probably better to wait and see what’s to come from Tesla and other solar storage producers. You can calculate whether a Tesla Powerwall 2 could be a viable investment for your home by multiplying the rate you pay for electricity by the amount of electricity the Powerwall 2 is warranted to discharge – 37,800 kWh. If you calculate that you would spend more on electricity than what you would spend on installing a Powerwall 2 (around $10-$12,000), then the Powerwall could be viable for your home. This of course doesn’t factor in any feed-in tariffs you might receive, had the electricity been transferred to the grid instead of being stored. If you live in South Australia, for example, you likely pay around 35c/kWh for electricity usage. With a Tesla Powerwall 2, you could possibly save a $13,230 by the end of the warranty period (37,800 x 0.35), which justifies the expense of the Powerwall 2. On the other hand, most households receiving a relatively standard electricity rate of around 28c/kWh could only really hope to break even – saving around $10,500 over the warranted life of the Powerwall. Keep in mind that if you are receiving a low rate on electricity, a high feed-in tariff, or a great discount, it is less likely a Powerwall 2 will save you money. To sum up, while some households can start saving today with the Powerwall 2, if you want a little more assurance that a storage investment will pay off, then probably wait until the Powerwall 3. The Tesla Powerwall 2 was announced in October 2016 alongside an equally impressive technology – solar roof tiles. That’s right, these ordinary-looking shingles can turn your home’s roof in to a giant solar panel. Tesla is currently taking pre-orders for its solar roof with installations expected to begin in 2018. There are only two styles available to Australians at the moment – textured glass and smooth glass. In 2018 Tesla will expand its range to include Tuscan and slate styles shown below. These glass tiles utilise ingenious micro louver technology allowing the tiles to appear transparent from above and opaque from the street. So while these appear as ordinary roof tiles from the street, sunlight is still able to penetrate the solar cells built within the tiles. There were some obvious concerns about the strength of glass tiles, but Tesla was quick to reassure us that its tiles are even stronger than traditional roofing. It backs this up by providing a tile warranty of “Infinity, or the lifetime of your house, whichever comes first.” It also guarantees the solar cells will generate power for at least 30 years. Turning to the cost of Tesla roof tiles, the AFR estimates it will cost about $318 per square meter of roofing, or around $95,400 for a relatively standard 300-square meter roof. That is roughly 2.5 times, or about $56,400 more than what you would pay for a comparable non-solar roof. So while Tesla Roof Tiles are a great concept, the technology has a little way to go before it’s economically viable. Even with the 30 year power generation guarantee, it’s pretty difficult to envisage a scenario where the solar roofing can save you enough money to justify the enormous cost. The Tesla Powerwall is fairly synonymous with solar storage these days, but it’s not your only option. In fact, there are dozens of other products available in Australia with value rivalling that of the Powerwall. You can see our comprehensive list of solar battery companies here. Keep in mind that no matter what solar storage system you buy, it may be many years before it makes your money back – if at all. If you’re looking to start saving immediately, the first step is to compare electricity providers and make sure you’re getting the best deal on electricity. To get started, visit Canstar Blue’s customer satisfaction ratings via the link below and compare retailer prices using our comparison tool.